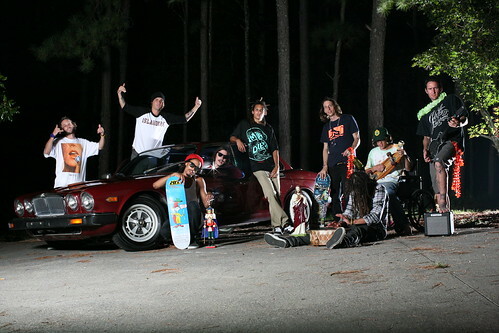 I have to say when your piled in a van with a bunch of sweaty dudes, skateboards, blunts and booze it can get old. You cannot move, stretch or even cough with out disrupting at least 3 people. The irritation meter runs high, and people get pissed off really easy. Right now I'm sitting in a classroom with a bunch of kids and bored to death. I miss the van, i miss the sweaty dudes (nohomo) and most of all i miss traveling with the raddest crew on the planet. 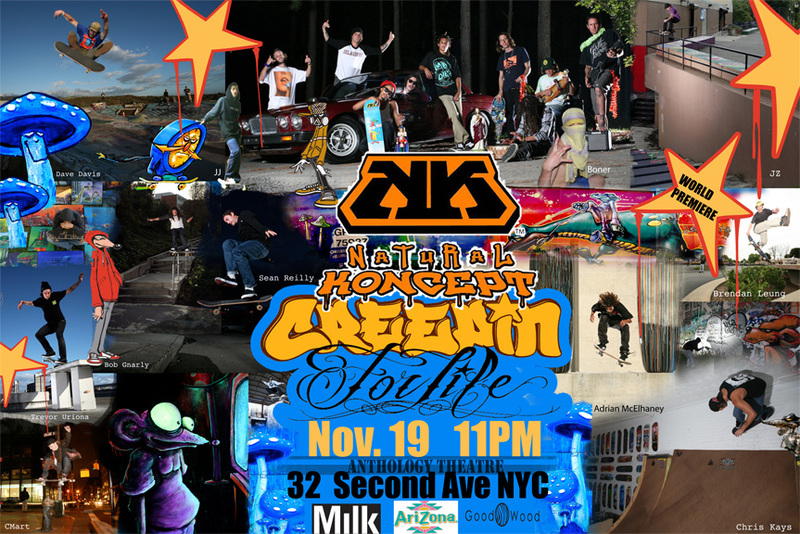 NKFORLIFE! , originally uploaded by tricksterfoxx.